Since language is once again on the topic table, I’ll put out this piece that had been waiting for the right time. Filipino hostility towards English and foreign languages, as well as towards intellectualism, is not hard to see. People with such attitudes say it is a “patriotic duty” or more nationalistic action to be so hostile (ethnocentrism), while being sadly ignorant or not accepting that our own law accepts it as part of our culture. Why they behave so is not hard to understand in light of basic human motivations and human nature, and from this, we can further explain why such behavior is detrimental. The mysteries of human motivation aren’t complicated: everyone wants a comfortable life. For some, this involves receiving all pleasures and removing all pain. It’s safe to say many Filipinos seek a literal hand-to-mouth existence (meaning, only hand moves food to mouth, and little or no more) that is comfortable and painless. Language to them is a tool for obtaining what they want, and if they don’t get it, a tool for retaliation. I connect that to my observation of Filipinos as seemingly clumsy in the way they deliver English. For us who are well-versed in a language, it’s painful to watch others stumble on it. Many Filipinos often learn English as part of a jargon in school and work, and often stick with that, not willing to go further. In places where Filipinos are not intellectually-skilled workers, they often learn enough English just to communicate basic things related to work and needs. But they wish they didn’t need to. It’s not only because of the stiff and formal European orientation, but also because Filipinos see it as an obstacle. Learning and using English is seen as inconvenient and ridiculous when you want to say something like “I need food” or “give me this.” This reveals that the greatest concerns of Filipinos, even when more affluent, are still basic needs and creature comforts. As for the retaliation part, that’s why, in an ironic and self-contradictory twist, even “educated” people who know English attack others who know and support English, with that delusion of grandeur of being “patriotic.” They look only like people with nothing to do, so the best “trip” for them is attacking people, and being trolls. This is also probably why their impression of intellectualism is being “switik” or cunning; basically, tricking or defrauding people, because they see no other use for thinking. And it thus becomes a premise behind anti-intellectualism. Also, because Filipino freeloaders believe the English-speakers are rich, and therefore should be their “providers,” they shame those perceived to be “madamot” (stingy). I also note how Filipinos seem clumsy in language at all, and have devolved into poor communicators. When they ask for something, they sometimes stumble over the words, such as saying, yung ano, yung kwan, ganito (Hello, Mang Ernie?). Sometimes, they don’t bother to know the right words to call something, such as toothpaste, instead using the brand name Colgate or what they know. A friend of mine who’s a teacher lamented that when she gives the basic exercise “describe yourself” in composition class, the students couldn’t write anything. Even in Tagalog, I believe. Many children also just follow jeje-speak without question, using “tas,” “don’t me,” and all those trendy mindless buzzwords. This also goes with esteemed webmaster Benign0’s idea that “maka-masa” language dumbs people down. One other thing: many have noted the Philippines is disunited, but along what borders? What I’ve observed is that Filipinos identify more with language groups, such as Bisaya, Bicolano, Kampampangan, Ilocano and more (yes, I see them as languages, not dialects). They are less associated with names of tribes, such as Igorot, Bagobo, and more. So what does this mean? It’s not just, “hey, you don’t know Bisaya, you’re not my brother!” For example, people knowing Kampangangan could hide something from Tagalogs. If they have a plan, they could hide from others who know the language. Thus, language represents a desire for utility to serve vested interests. It’s easier to whisper favors to a person who knows your local language, while opponents don’t. That’s why I believe the major political cadres seeking power over the country are associated with language groups, such as Bicolano, Cebuano, Bisaya, etc. Learning a new language or a foreign one, as well as studying new concepts and technology, is seen as an obstruction because of the perceived extra work needed. Defense mechanisms start operating, such as complaints of “nosebleed,” or ridiculing people who know another language. Even the comment of calling English speakers as “conyo” or “elitist” is part of this. Aside from a defense mechanism, it is also an outlet of frustration for people who believe that life should be easier. Easier as in, going outside, lying under a tree and waiting for its fruit to fall (or have someone else pick things off of trees and bring it to you – metaphor for maximum avoidance of work). Just because something is easier doesn’t mean we deserve it. We often don’t deserve the things we want. Often, the way to a better life is more complicated and takes more work. This is an attitude Filipinos need to further accept and inculcate into habits and culture. It’s especially needed in a world where globalization has necessitated that countries pull their weight and work together to make resources available all over the world. That’s why even a sherpa in the Himalayan mountains could own a cellphone. To be an old-school farmer country without machines is why we’re still not a prosperous country. Being closed off from other countries, cultures and languages, and not trading internationally isn’t going to help make things easier. This issue is among many signs that Philippine society has yet to graduate from prehistory. The struggle for Filipinos is real to do so. But that departure remains a vital solution. Ditch the modern revisionist support for stone age mentalities, including that propagandic nonsense that stone age people are “purer” or “less sullied” than modern ones. Whatever made people do wrong in the modern age are the same as in the stone age and even earlier. These are even things claimed as “normal” or “part of evolution” that are actually products of people’s decisions. That decision-making is based on willpower that we must use to choose the better thing to do. Previous Article Should Filipino thought leaders communicate in ‘maka-masa’ style or in proper English? I do understand and witness the utter stupidity of a lot of Filipinos( particularly in Facebook) who simply demand that I stop using English and use Tagalog after addressing them and their ignorant opinions. The only reason for this is the inherent inferiority complex of this type of Filipinos when encountering another Filipino who is really good in using the English language. So its not really hate but a mere projection of an inferiority that these Filipinos see in thereselves causing them to lash out. *correction: but a mere projection of an inferiority that these Filipinos see in themselves causing them to lash out. A question that is asked from time to time is from a person who may see validity in what GRP has to say yet wishing it will be in Tagalog. The paradox there is even if it was, would it be read? Very few people ever bring up the fact there is not one ” serious” newspaper in Tagalog. Newspapers of record are all in English. Some of us have beefs with Inquirer but there is some attempt there to be informative if not for the scope and slant. One way of realizing the reality of the situation is to limit oneself to only Tagalog media. Books, magazines, TV shows, news. Scary world. 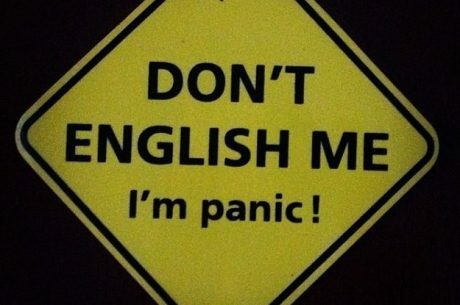 English is my second language. Pilipino is my first language. I read , write and speak also other languages. I am not rich, as you think; nor I am an elitist. English is the language of modern day information. If you want to advance your knowledge, you must learn English. The more you learn, the more skills and talents, you have. The more you can succeed as an OFW, if you want to become OFW. Have you ever heard an OFW, in the Middle East, communicating with his/her OFW master in Pilipino language ? So, even if you want to have a better employment as an OFW slave; you must learn , English. If you are an immigrant going to the U.S., Canada, Australia, New Zealand and Europe. The more English is important to you. Entering a good U.S. university, needs a good knowledge in English. You need to take , Test on English as Foreign Language (TOEFEL), as a prerequisite to acceptance in a U.S. university, along with good academic records. Indeed, the Filipino brain seems to be missing that vital Striving-For-Excellence chip. It does have more than its fair share of Pwede-Na-Yan chips installed, unfortunately. Wella, uhmm-a, you know, it’s just kinda, like a, you know, you get what I mean-a say?! Most Filipinos even speaking in their native tongue are inarticulate. I once worked in a government agency as a lowly contractual employee until the head of agency called me to his office and found out that I had a good command of the English language. All of a sudden my career soared and found myself beside him in all meetings and gatherings of agency heads, had the best seat and food, and represent the agencyin his behalf whenever he is not available. That may be because of the few who speak it are not that articulate except for a couple of lawyers. I think that’s a story I’ve come across many times myself. It’s particularly difficult to delegate report writing precisely because of this deficit in articulation faculties. Exactly. Probably what I alluded to in the “describe yourself” exercise applies. You ask a Filipino to describe the shape of something. They will usually say, parang ganito eh, ano, matulis na parang, eh, yung ano. They don’t know. Words like incline, slope, triangle, or perhaps even the concepts of such, they likely don’t know. Wonder if there are such words in Bisaya and Ilonggo or such, aside from Tagalog. They just depend on what they have encountered. Even if they watch TV and movies, they still don’t learn some basic ideas. Also, they want to do things in the maski pops manner. You ask them to clean your laptop, they immerse it in water. Ask them to bring something to a certain person, they don’t follow your instructions and they go to the wrong place. The language issue is more the symptom of something else, namely the thinking, or lack of, which I did talk about in my article about anti-intellectualism. The search for a simplistic (as opposed to “simple”) way of life leads to discarding even some essentials, such as thinking. It’s like Filipinos don’t want to live like humans, but like animals. Each language has its limitations. The Bible translations(from Greek to English to Tagalog) demonstrates this. The word “anthropos” is translated to english as “man” while it is translated as “tao” in Tagalog. This is why Tagalog still has a utility value even in intellectual discussions among Filipinos. The word equivalence to English is obvious (from the Filipino dialects) primarily due to concepts articulated by the western culture. For example, the topic of economics. This subject is first articulated in Europe and expounded further by European settlers to what became the USA. Theology and philosophy were also articulated in Europe. So it is really difficult for any Filipino dialect to have a matching term for concepts introduced to us by Western culture, which articulated such concepts in Western language. The result is that effective instruction is a mixture of the dialect and the language. English: First, you need to pop the last value in the array. That example is very common, even in the workplace, when training/teaching a newbie on how code effectively. I can’t see where it was categorically said that Tagalog has no value in a discussion – this is either a red herring or a strawman. In my understanding, it’s the Filipino’s general pragmatic approach to the usage of language that is in question here. And in general, I think we can all agree that we don’t maximize the usage enough to express ideas that can effectively, meaningfully and unambiguously convey messages across. Thus far, English language is the common ground – a lingua franca if that’s what you want to call it – that we all have which can do that, and yet we aren’t making the most of it. I doubt that I can even find a local Filipino language that can express the same words I have just typed above. This does NOT imply that Tagalog, or that any of our languages has no value – English just happens to be more effective at doing its job of expressing ideas, and that is a fact I am not sure how to argue against even myself. And that is precisely the reason for us to tap into that potential, the reason why we should not hate English. I think you have a reading comprehension problem. A: Dyan lang sa tabi-tabi. The textbooks for instruction in programming are in English, so resisting English isn’t going to help a bit there. While people do converse in their local language while going about, documentation still requires a lot of English. No one is arguing about documentation nor is the workplace resisting English. Instruction afterall still requires an instructor, not just textbook. Yes.. And that in itself is a good point. Filipinos don’t know the difference between languages and dialects of the language. It’s like they assume Tagalog is _the_ language, and every other language is called a dialect. Isn’t “Filipino” the “national language” and is just based on the Tagalog dialect? But back in the day, we just called it Tagalog. This whole idea of a “Filipino language” was a relatively recent ululation. Indeed, it’s a simplified comic dialogue… that is nothing more but a simply diabolical unwelcoming appreciation of what is accepted as historically cultural facts, even if presented in their proper context, is deemed unrewarding to GRP’s own cause, that a simple sinister manipulation of hypothetical inputs are warranted to grant its justification of one’s favored correctness. Ah, the so called “Imperial Manila”. And this is the reason why our country is so divided. Don’t forget the genius idea that may be passed into law by Rep. Leopoldo Bataoil — which would require all locally produced products to have baybayin script on their labeling… You know, the dead language that wasn’t even used around the country except for a few places? I really wish the country would teach English at all levels of school, but part of me thinks the oligarchs do not want that because they want a dumbed down populace speaking a language that is more based on emotions and expressions and largely devoid of descriptive words of substance. @Tobias, ahh yes, Mr. James Fallows’ “A Damage Culture”! An interestingly long, but definitely a must-read, brilliantly written piece of composition that takes around 42-53 minutes to read and appreciate, it zeroes in on its conclusion, the Filipinos’ cultural collective of western envy and failure of nationalism. It should serve as a classic eye-opening foreign 2.0 version in the tradition of Dr. Jose Rizal’s “La Indolencia de los Filipinos”! It is. Extremely better than the blogposts here suggesting to abandon the local language. If language was not a hindrance for Japan and South Korea, then it must be something else. Language (and dialect) are means of communication, afterall. It is not a reflection of culture. Yeah, indolence has become a problem that affects not only Filipinos. Isn’t it ironic that while technology is “advancing”, people seem to be degenerating? Perhaps, as what the guy says in this video, that “there is a mismatch between what science knows and what business does,” also applies to the rest of our systems..